I guess Dan Mattrick confirmed Halo 4 in an interview, said Bungie was working on it too? If this turns out to be true, will any of you be interested in it? 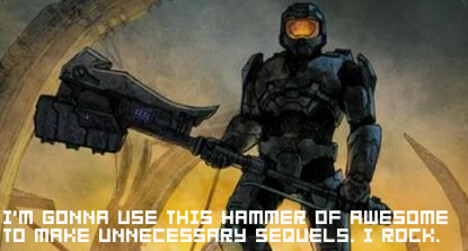 I don't really see how they could do more with the story, and quite frankly I'm getting sick of Halo. If this becomes a yearly affair, Bungie needs to die.